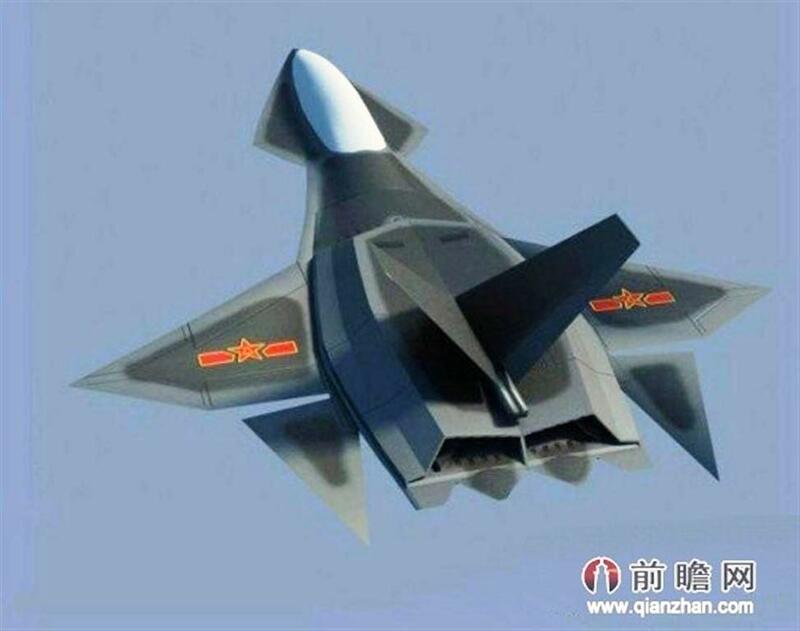 And... newer to the scene is a Chinese stealth VTOL jet - the J-18. The J-18 is equipped with laser active phased array radar, advanced head-up display and aerial refueling system. It has a maximum speed of Mach 2.5 and a range of 2,200 km. Its successful test flight proved that China’s fighter jets entirely met world advanced standards.Moreover, there are both manned and unmanned versions of the VTOL stealth fighter. 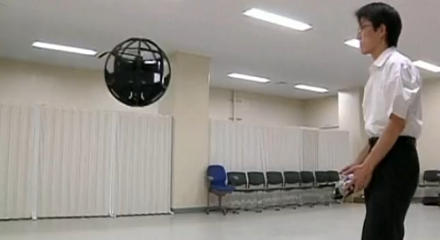 Also shown are some newer prototype VTOLs including a drone VTOL. 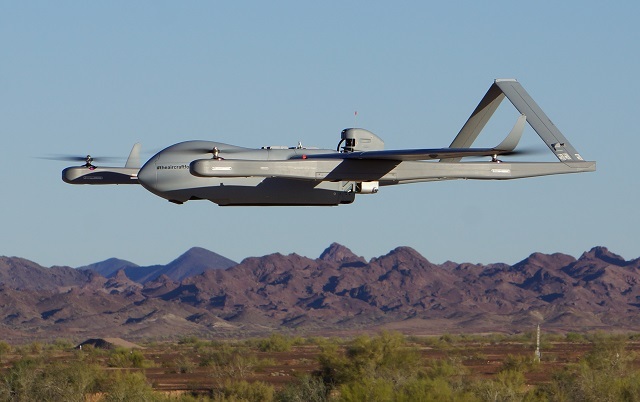 Martin UAV is marketing a vertical take-off and landing unmanned aerialvehicle, V-Bat, that can take flight from an upright position and transition to horizontal in flight. Think of a Harrier or V-22 Osprey, only a drone. The 84-pound drone can stay on station for 8-plus hours at 45 knots, has a range of about 350 miles and can fly up to 15,000 feet. It can dash up to 90 knots. The drone is designed to be modular, with different sensors fitting into the nose section of the aircraft. The payload is in the nose, so it‘s designed to take the payload off, put a newpayload on. 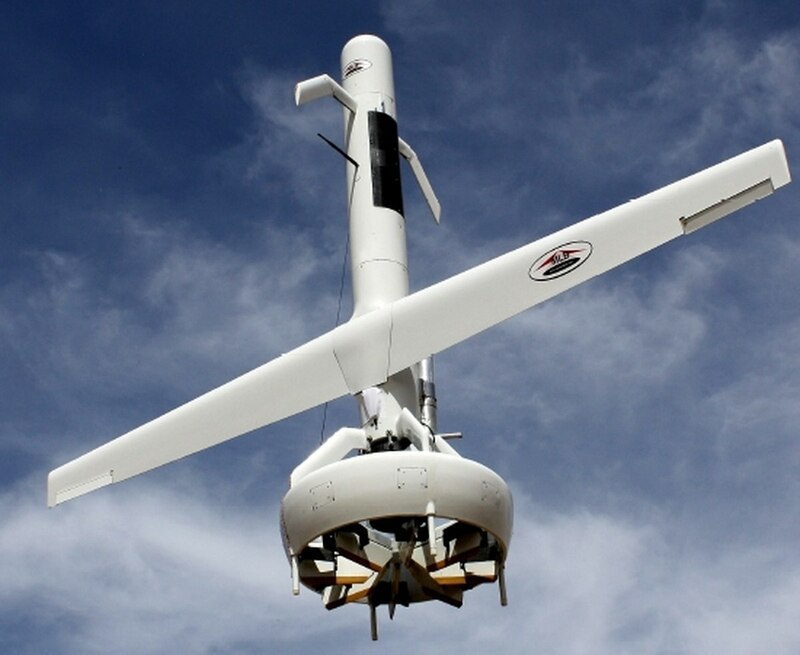 The V-Bat, which is easily transportable, could be useful in a search-and-rescue situation, for example, because its vertical take-off and landing, or VTOL, capability. If a search-and-rescue helicopter is out there for eight hours looking for somebody, you might as well do this. It’s 23 pounds of fuel. The drone runs 500 watts of power and runs off JP-8 or a gasoline/oil mix. The whole rig comes in two boxes, including the drone, the ground-control station and the telemetry system. The drone can also hand off control to other operators, such as on a ship. 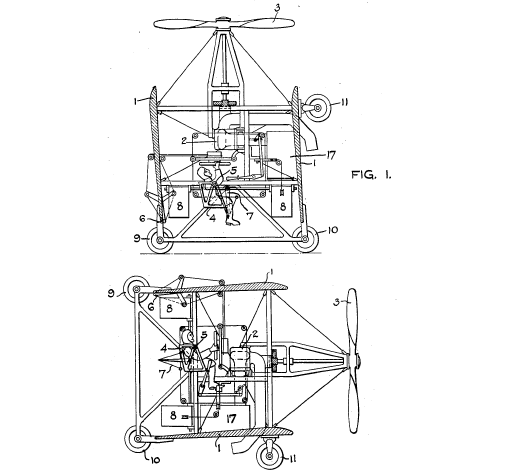 And check out just one civilian version of the VTOL. You could land that thing on a skyscraper for a meeting and then fly home 500 miles away and land in your back yard. The Jetson's have come to life finally! Of course, it's only a prototype. 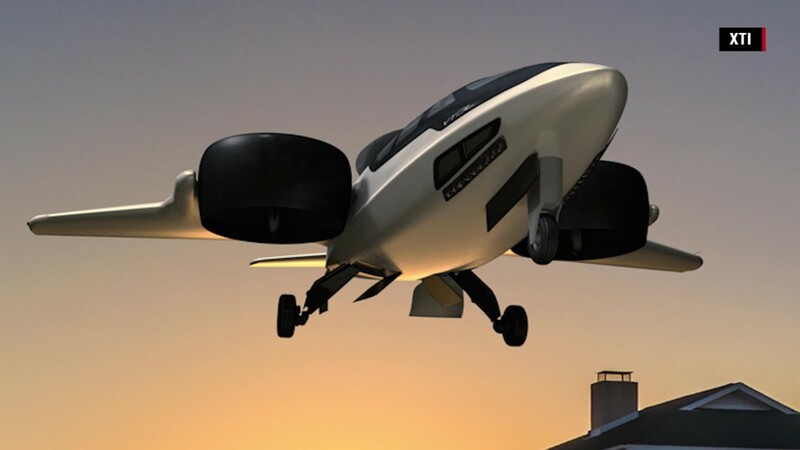 The TriFan 600 concept is a vertical take off and landing (VTOL) airplane. 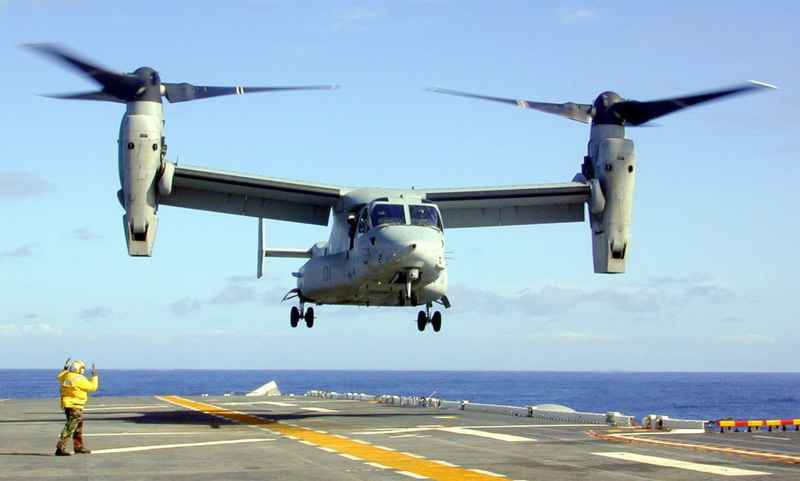 It uses three ducted fans to enable vertical lift. After just seconds of flight, the two wing-mounted fans can rotate 90 degrees to provide for forward propulsion. The six person plane (hence the “600” in the name) is calculated to reach maximum speed of 340 knots or 400 MPH in 90 seconds. Depending on take off configuration, the TriFan 600 has a range between 800 – 1,200 miles. Vertical configuration burns more fuel, but the concept is capable of short runway take offs as well to save some fuel and increase range. 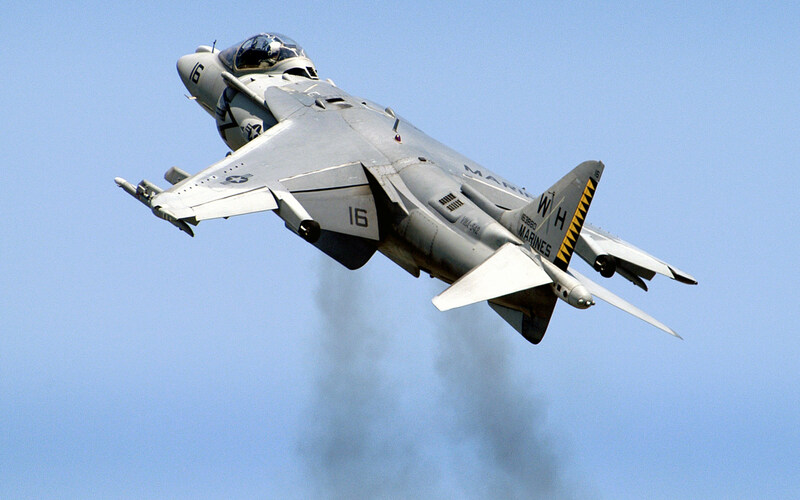 It can also take off in a conventional configuration, using a longer runway. The flight ceiling is over 30,000 feet.